The Management Plan group: This encompasses the operators concerned by the territory of the listed Property (the Parks, the CPIE of the southern Causses, the 3 Great Sites, the Conservatoire Larzac Templier Hospitalier, the 4 departments, the 4 Chambers of Agriculture, OIER-SUAMME, the 2 Regions and State Departments in the 2 Regions, and the CDT, ADT and ADRT. Its aim is to prepare the management plan for 2015-2021. The Agropastoralism group: It is formed of the 4 Chambers of Agriculture and the Organisme Inter-Etablissement du Réseau des chambres d’agriculture et Service d’Utilité Agricole Montagne Méditerranée Elevage (OIER-SUAMME), an association of livestock farmers, a Groupement Agricole d’Exploitation en Commun (a type of collective farming group) and the relevant departments of the local authorities within the Property. Its aim is to define action programmes to support agropastoral activities that are relevant to UNESCO’s values. The Heritage and Culture group: This includes the relevant departments of the operators and the Regions, and the relevant State departments in the 2 Regions. This group prepares and implements the inventory and research along with the conservation assessment of the listed Property’s heritage elements. 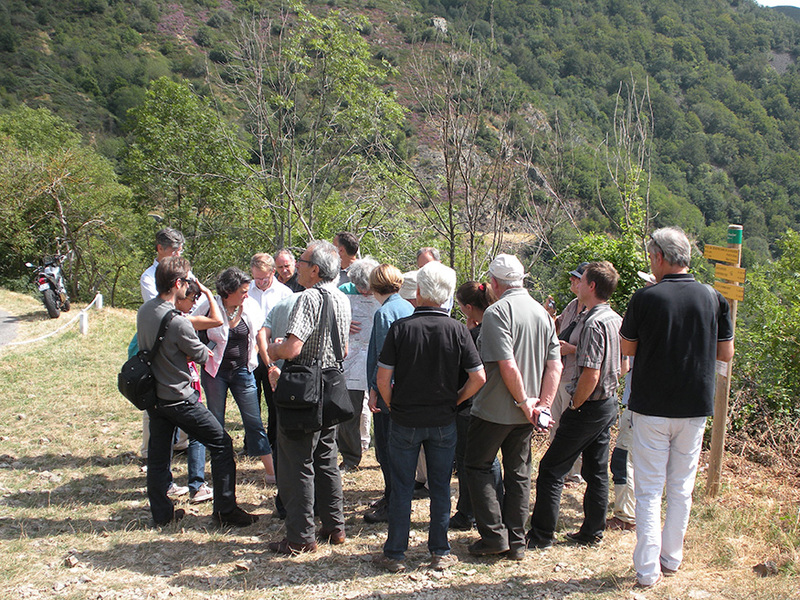 The Landscape group: This includes the landscape experts who are members of the scientific council, the Conseils d’Architecture d’Urbanisme et d’Environnement (CAUE – Councils of Architecture, Planning and Environment) of the 4 French departments, the relevant departments of the operators and the relevant State departments in the 2 regions. This group is designed to monitor the evolution of landscapes and develop research into cultural landscapes. The Communication and Tourism group: This includes the 4 Departmental Tourism Committees and their communication departments, the 5 gateway towns (Alès, Ganges, Lodève, Mende and Millau) and the Tourism departments of the local authorities within the Property. It is designed to define actions in the field of hospitality, promotion and communication in relation to agropastoralism.